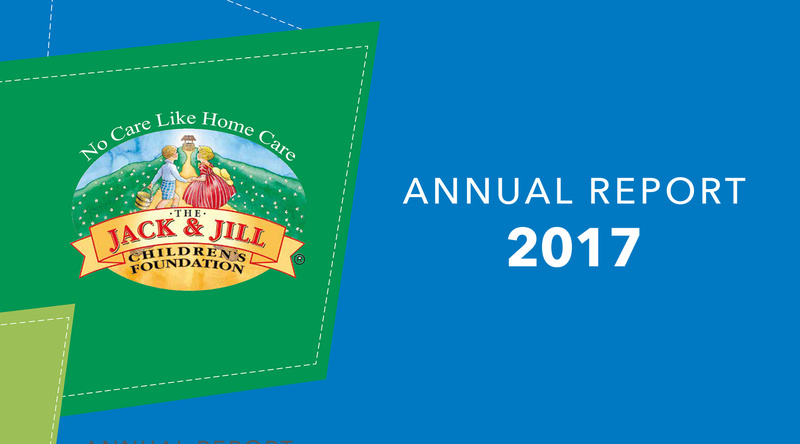 In its 2017 Annual Report, The Jack & Jill Children’s Foundation uses the opportunity to thank its supporters and to show where the money goes in terms of funds raised for home nursing care for the 355 children currently under its wing with severe physical and neurological development delay, thus giving essential respite and support to their families. The charity also provides end of life care to children up to 5 years of age going home to die, regardless of their named or unnamed medical condition and 43 precious children passed away at home in Jack & Jill’s care in 2017. The annual report is launched as part of Jack & Jill Awareness Week with a view to raising both funds and awareness for the charity which was set up in 1997 by Jonathan Irwin and Mary Ann O’Brien in their son Jack’s name. While 2017 was a strong financial year, sustainability for the charity is an ongoing challenge and an additional €700,000 is still to be raised between now and the end of the year to keep this year’s budget on target. According to the annual report, home nursing care and respite was provided to 320 precious children and delivered by a highly qualified team of 12 hands on, liaison nurses who led an army of 700 nurses and carers into the home and into the community.